Article 35A: How BJP was caught in its own web? It is an interesting factoid that it was Girdhari Lal Dogra (father-in-law of Jaitley), who proposed that the annexure be sent to the government of India for appropriate action. This was February of 1954 and three months later, the President’s order under Article 370 was issued, incorporating, among other provisions, Article 35A in the Constitution. The Article, through which Article 35A was brought in, i.e Article 370, was debated threadbare in the Constituent Assembly of India for more than five months before it was made a part of the Constitution as adopted in 1950. It is important to note that while this constitutional process was being undertaken and concluded, a political process was running parallel to it. The Prime Minister of India, Jawaharlal Nehru, and Prime Minister of J&K, Sheikh Mohammed Abdullah, reached an agreement. Nehru recorded it in a note dated July 20, 1952. The terms of the agreement, where the sharing of sovereignty was detailed, were presented to the Lok Sabha. On his part, Abdullah briefed the J&K Constituent Assembly in what is a famous speech in the history of J&K. While terming it as “surreptitious”, Jaitley probably means that Article 35A could not have been introduced through a process outside the ordinary amending procedure prescribed under Article 368. If this is indeed so, then the issue is a constitutional technicality. 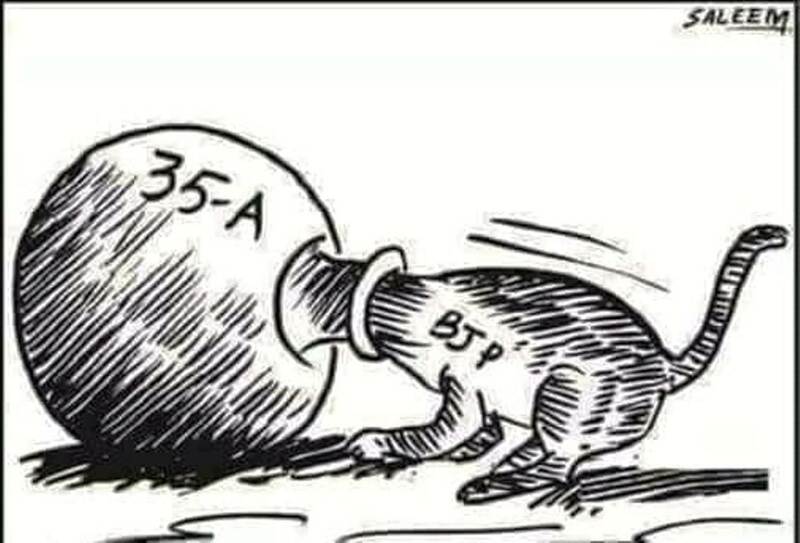 Be that as it may, assume for a moment that Article 35A is repealed. Will it allow “Indians” to buy land in Kashmir? The answer is no. It will not alter the situation, for, as Noorani points out, the 1927 notification of the government of Jammu and Kashmir, which imposed restrictions on the employment of, and land ownership by “outsiders” (non-state subjects), is a part of the J&K Constitution. If anything, if Article 35A is expended, it could pave the way for the rolling back of all orders extending India’s Constitution to J&K after November 17, 1956, when the state’s Constituent Assembly was dissolved. For, as a matter of legal construction, if the presidential order incorporating Article 35A, which was on the recommendation of the state’s Constituent Assembly, is without legal authority, then all subsequent presidential orders issued without the consent or concurrence of the Constituent Assembly are a bible of illegality. This will take J&K back to a quasi-sovereign status, with its own prime minister and president. The state subjects of J&K will cease to be citizens of India and entry of Indian nationals into J&K will be restricted. The goods from India will have to pass through a customs barrier and pay an import duty. And above all, the people of J&K will not be legally obliged to uphold the integrity and sovereignty of India. The comic irony will be that separatists will become mainstream overnight! For Kashmir and Kashmiris, Article 370, in its present emaciated form, or 35A is not an existential issue. But for India as a federation it is. If Article 35A is expended it will impinge on basic tenets of constitutional interpretation and will damage the most solemn promises, vis a vis other states, that lie at the heart of the Indian federation. It may well be the beginning of the end of federal India.